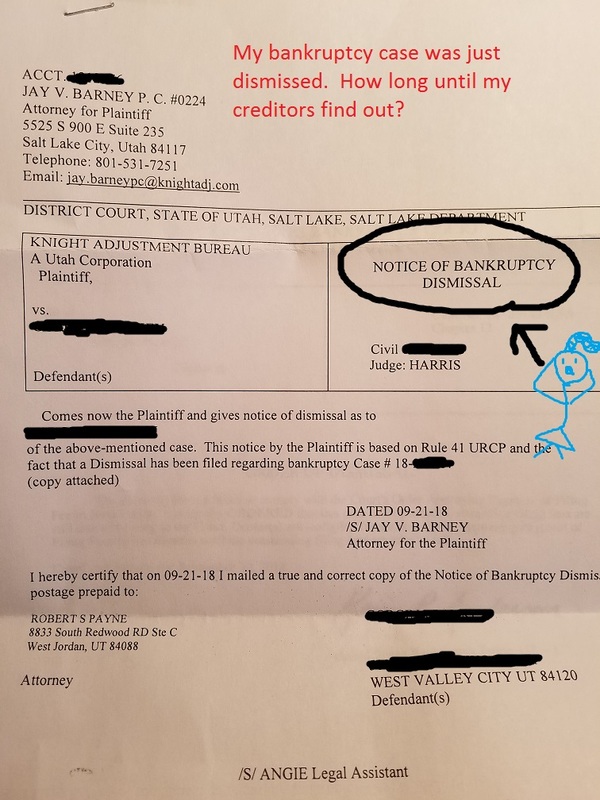 My bankruptcy case was dismissed. How long until my creditors find out? Generally, you do NOT want your bk dismissed, but it happens. Sometimes clients forget to pay their filing fees to the court, or they miss a hearing, or a myriad of other problems can occur. Some people even do it intentionally. And sometimes, unfortunately, the bk court will dismiss your case. 12:07 a.m. that night —- Some of your creditors who have ECF (electronic) access to the court will receive notice at 12:07 a.m. I know this because my phone buzzes each morning at 12:07 a.m. to give me my court notices from that previous day. 4 days later — The bk court will dismiss your case. Then, about 2 days later, they will mail out the Order Dismissing Case to all of your creditors. Those creditors will probably receive the notice and open it 2 days later. So, in most cases, they receive and open the written notice from the court in about 4 days. 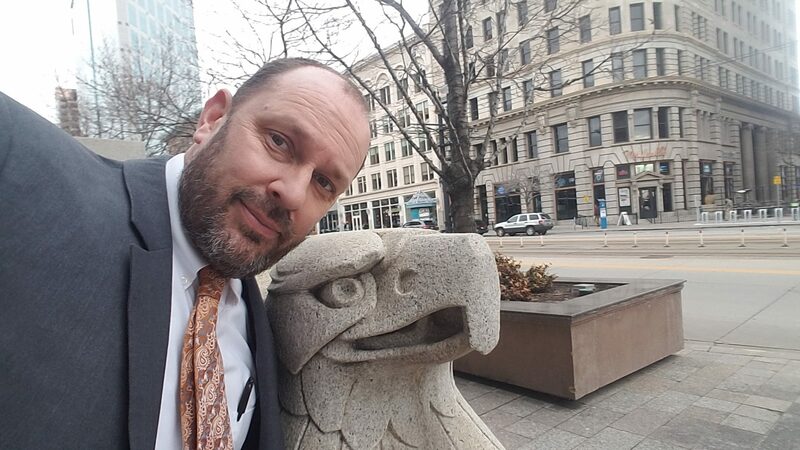 2 weeks later — I have found that with large creditors, it seems to take up to two weeks for their collections or bankruptcy department to process the letter from the court advising that your case is dismissed. What this means is that if your bankruptcy is dismissed, there is a good chance that your creditors will find out right away and re-start collections. If you were behind on your car, they could come pick it up that night. If there was a garnishment, they could re-start it with your next paycheck. Unfortunately, it’s a crap-shoot. They may not do anything for weeks, or they may react that night. It is possible that you can re-open your case or file a new one, but that’s complicated enough that I won’t cover it here. Good luck. 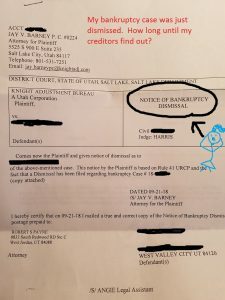 This entry was posted in Utah Bankruptcy on September 28, 2018 by robertspaynelaw.